This incredible 51 AC property is the one you've been waiting for! 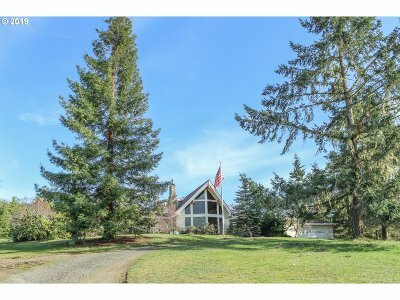 Gently sloping land that's a combination of timber & pasture. Beautiful 3458 SF Lindal Cedar home w/tile floors, 2 master suites, sun porch, & office loft. Year-round pond nestled in the pines w/dock & dozens of koi fish. 1232 SF Mfg guest house is full of potential. Large shop w/RV garage, office space, 1/2 bath & laundry. Horse stalls, corral & covered equip storage.